It was necessary to get in one more popcicle recipe before I start thinking about winter coats, gloves, chattering teeth, and frozen toes…shoveling my way out of a warm, snuggly house to go to work…wind whipping through 14 balloon-like layers only to stab my skin like a million needles…ugh okay now I’m thoroughly depressed. Thanks a lot, popcicles. Good going. Sorry you had to witness my downward spiral of anger and depression while I merely mention these refreshing Peach Iced Tea Pops. A simple reference to winter can make happy thoughts take a sharp turn. Okay. Popcicles. It’s 90 freakin degrees outside right now and humid. Ahhhhh. [meditative breathing] The present moment. Lovely. You know I won’t lie to you. The peach and tea layers take more time than just one flavor because you have to wait until the lower layer is frozen enough to pour another liquid layer on top. So you have to time it just right. It’s really worth it when your taste buds are confused and delighted by the changing flavors as you chomp this down in 3 seconds flat. And you need Trader Joe’s. But WE ALL need Trader Joe’s. I’m sure some other peach nectar would suffice but I’ve only tried this with Trader Joe’s Dixie Peach Juice. Have you tried this heavenly stuff? LOVE! It’s thicker than regular peach juice, which is why I mention getting a nectar if you don’t have Trader Joe’s. It also has a hint of pineapple, white grape, pear, and apple. I know not everyone has a Trader Joe’s near them because I am one of those unlucky souls in life who must wander the earth Trader-Joe-less. 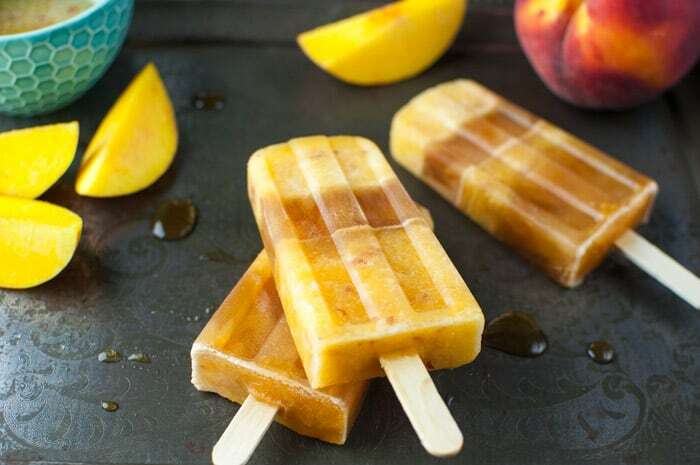 These Peach Iced Tea Pops belong in your freezer. They deserve a good, loving home. 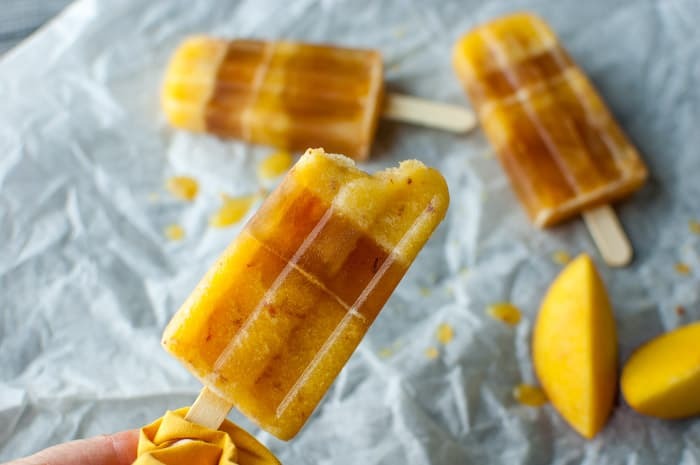 If you’re wondering why you would go to the trouble of making homemade popsicles when you can grab a box at the store, remember they’re chemical free and you know that’s a good thing! And ignore that popsicle in front, it’s missing a tea layer. Thank goodness mistakes can be delicious. These are the molds I use for my popsicles. But I prefer not to use the lid it comes with. Instead, I use tinfoil to keep my popcicle sticks in place. If you make this recipe, you’ll have some extra tea to make these Southern Sweet Tea Pick-Me-Up Popsicles. 2 recipes in one. Boom. I just blew your mind (if your mind gets blown very easily). Freeze your empty popsicle molds to make sure they’re nice and cold before you start. Make “tea infused” simple syrup: bring 1 cup water and 1 cup sugar to boil, stirring occasionally to dissolve sugar. Once water comes to boil, remove from heat. Add 1 tea bag to water and let steep for 5 minutes. Remove tea bag and let tea-flavored syrup cool to room temperature. Once syrup is at room temperature, transfer to a small bowl or storage container and cool in refrigerator, covered. In the meantime, make the tea. Bring 2 cups water to a boil. Remove from heat and add 2 tea bags and steep for 15 minutes. Remove tea bags and let tea cool to room temperature. Once tea is room temperature, cover and chill in refrigerator. When your tea and syrup are completely chilled take them out of the fridge. 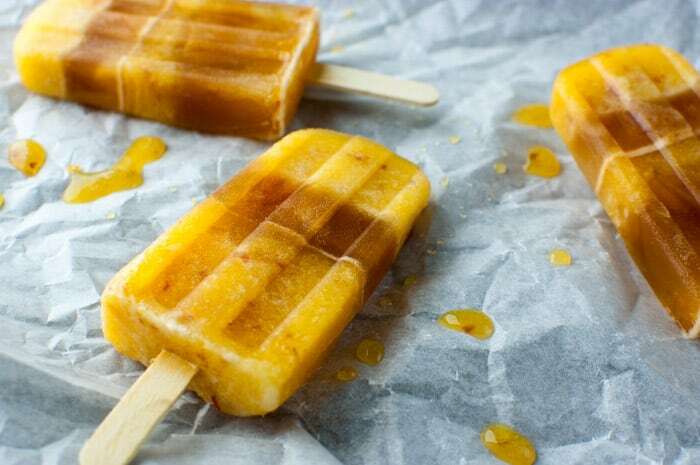 Mix in 1/2 cup of “Tea Infused” Simple Syrup into your chilled tea and stir to combine (You’ll have 1/2 cup left over syrup to make another batch of popsicles if you wish). Set aside leftover “Tea Infused Simple Syrup”. Taste a little bit of your iced tea mixture. At this point, it should taste very sweet (maybe too sweet). If you want to add more syrup you can. The sweeter the better because when the popsicles are frozen, the sweet flavor mellows out quite a bit. You want to overdo it. Put back the iced tea mixture back in fridge until ready to use. In a food processor or blender, combine chunks of peach, peach nectar, and 2 tablespoons of sugar. 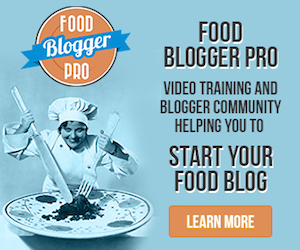 Blend and/or pulverize. 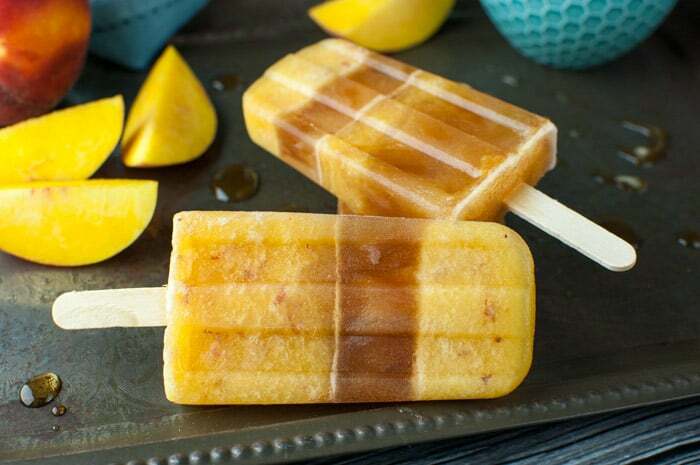 Pour a little bit of the peach mixture into popsicle molds. 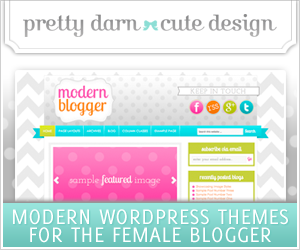 Your layers can be as thin or thick as you want. Feeling lazy? You can do half and half. The thicker the layer, the longer it will need to “set” before pouring a new layer on. I did about an inch deep. Test to make sure your first layer is somewhat frozen. Pour some of your sweetened tea into the molds and let that layer freeze for another hour. (you’ll want to put your popsicle sticks in at this point before it gets too hard to insert them). Repeat with layers until finished. Always leave at least 1/2 inch of room at the top of your molds for expansion. Note: I found it easier to cover the molds with tinfoil and freeze for about an hour and then poke the popsicle sticks through the tinfoil because the pops have partially frozen and it keeps the wooden stick in place. When you’re finished adding the last layer, freeze completely for at least a total of 4 hours or overnight. To remove popsicles, you can run some warm water over the outside of the molds or just let them sit out for about 3-4 minutes and they should slide right out. Enjoy! 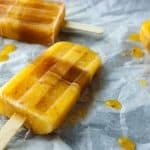 You can also use the sweetened tea mixture to make these Southern Sweet Tea Popsicles by not adding any of the peach mixture. Iced tea pops remind me of my childhood as we used to make them in the Summer all the time (along with ice cubes!). I love the added peach flavor to this!